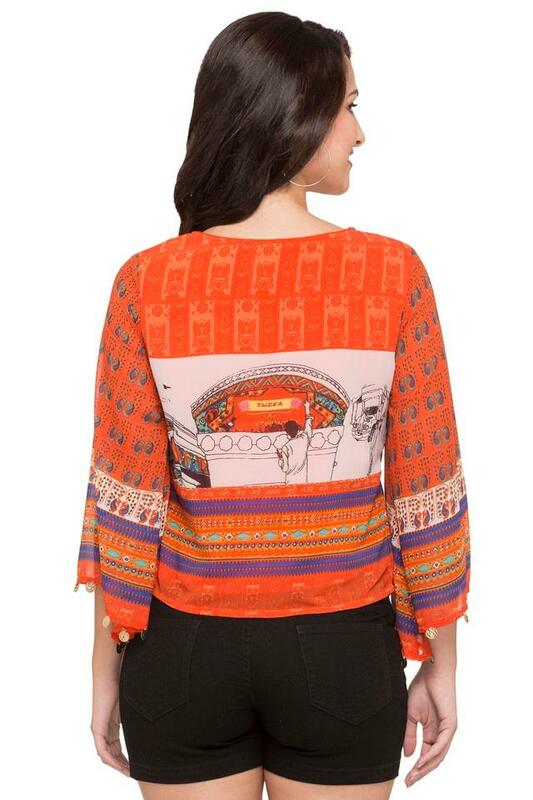 Inspire chic finesse in your casual line-up with this top from Haute Curry. 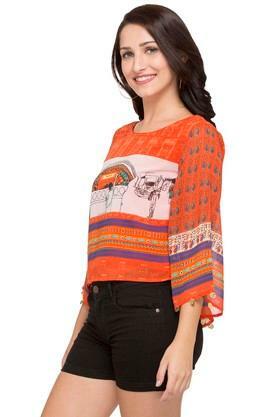 Made from good quality of fabric, this top fits your personality so perfectly that you will love it instantly. 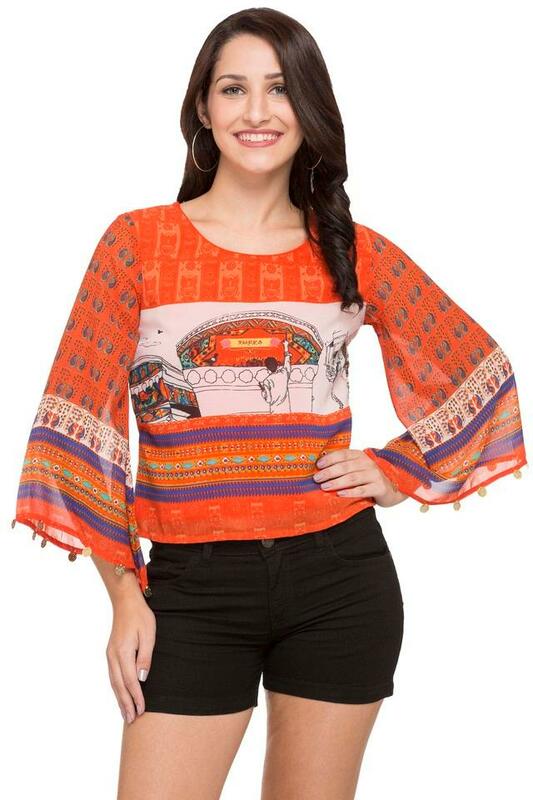 Featuring a round neck, full sleeves and printed pattern, this top holds a superlative allure. 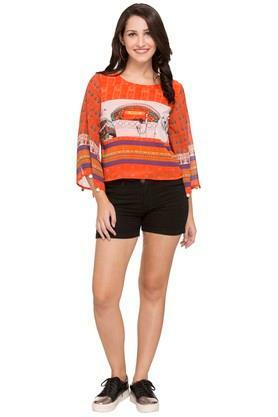 You can combine this top with a pair of jeans and high heels to flaunt a stylish look. It is comfortable to wear as it has been crafted from premium quality fabric.